It's not like I meant for Danley to get hurt. . . . Julian Twerski isn't a bully. He's just made a big mistake. So when he returns to school after a weeklong suspension, his English teacher offers him a deal: if he keeps a journal and writes about the incident that got him and his friends suspended, he can get out of writing a report on Shakespeare. Julian jumps at the chance. And so begins his account of life in sixth grade--blowing up homemade fireworks, writing a love letter for his best friend (with disastrous results), and worrying whether he's still the fastest kid in school. Lurking in the background, though, is the one story he can't bring himself to tell, the one story his teacher most wants to hear. 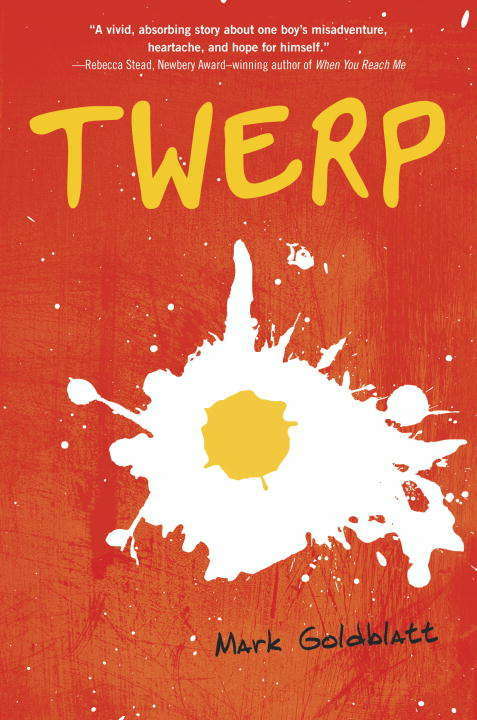 Inspired by Mark Goldblatt's own childhood growing up in 1960s Queens, Twerp shines with powerful writing that will have readers laughing and crying right along with these flawed but unforgettable characters.